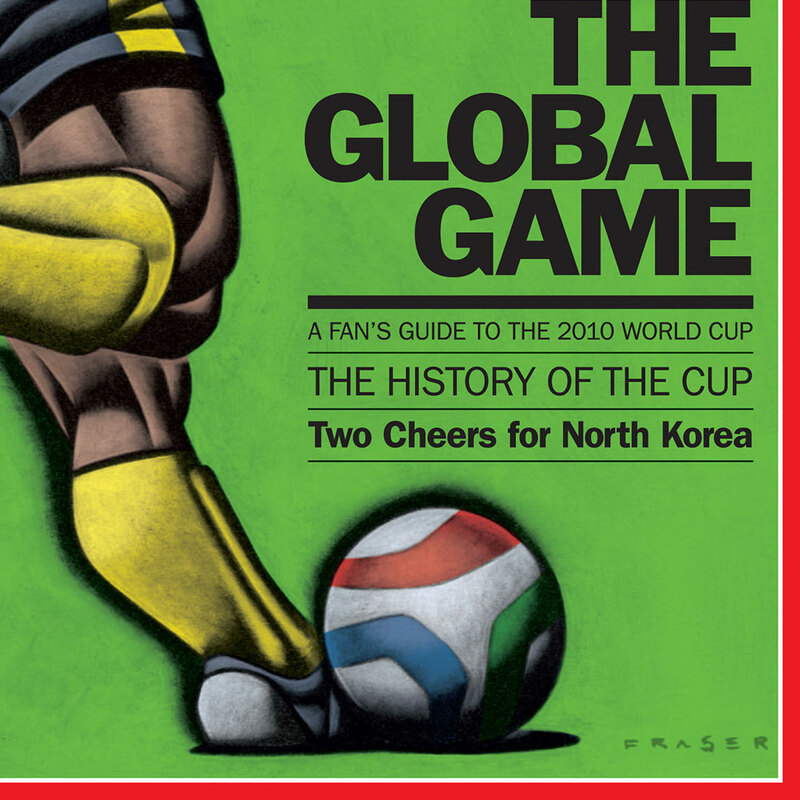 Douglas Fraser has illustrated the cover of Time Magazine on eight occasions. 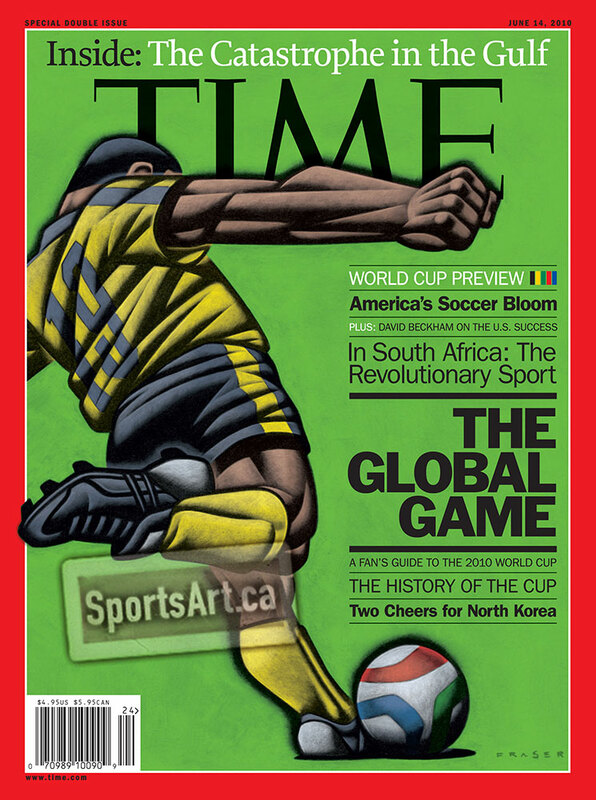 Fraser was commissioned to paint this beautiful piece for the magazine leading up to the 2010 World Cup held in Brazil. 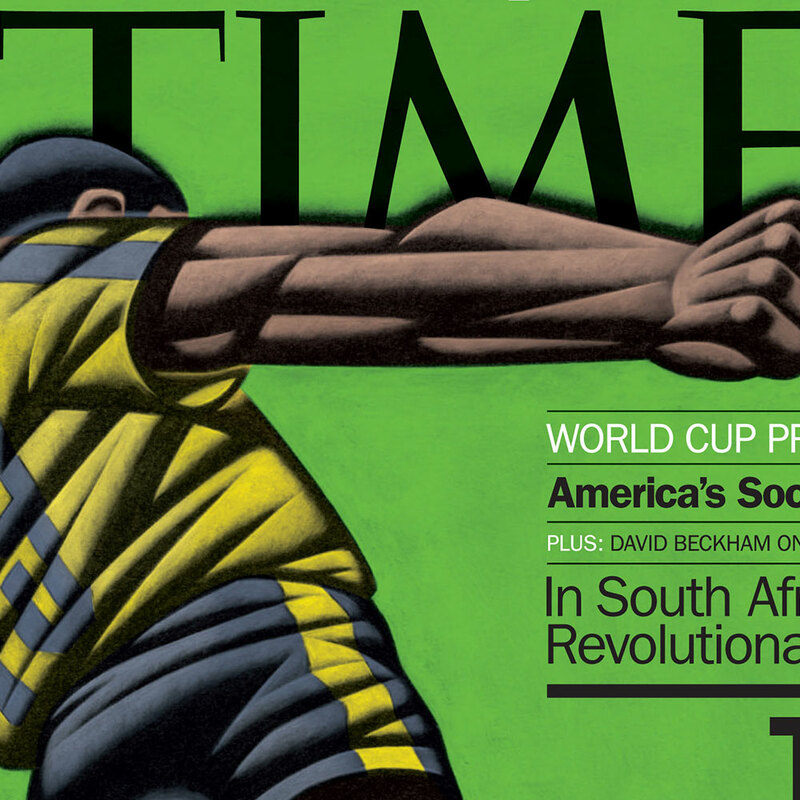 The original painting is held by the Smithsonian Museum, along with his other Time Magazine covers. 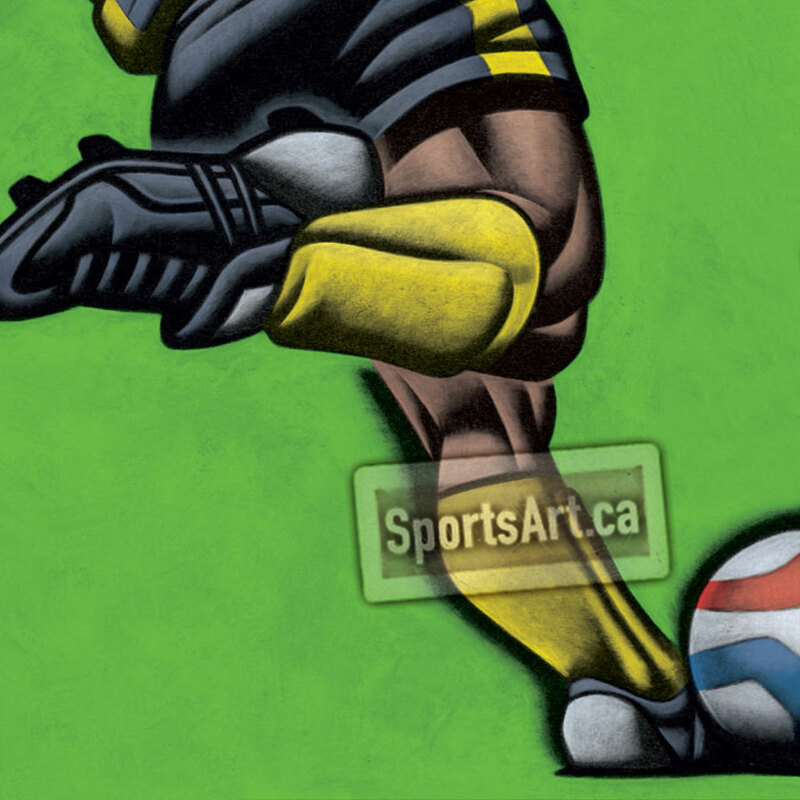 We can’t sell prints of the cover either, but it is a dynamic example of Doug Fraser’s illustration work. Original Alkyd Painting – 12×16"